​Lines are commonly written in what's called "slope-intercept form." When an equation for a line is written in this form, it's easy to see what the slope of the line is and what the y-intercept is (hence the name). In case you need a refresher, slope is a number that measures the steepness and direction of the line. It's the ratio of the vertical change of the graph to the horizontal change. We often refer to slope as "rise over run." For example, if the slope of a line is 1/2, that means it goes up 1 unit for every 2 units that it goes over. Need a refresher on slope? Check out this lesson on slope. The slope of a line also tells us the direction of the line. We can tell if the line goes up to the right, down to the right, or if it's horizontal or vertical. There are two axes on the coordinate plane: the x-axis and the y-axis. When a line crosses one of these axes, the point where it crosses is called an intercept. 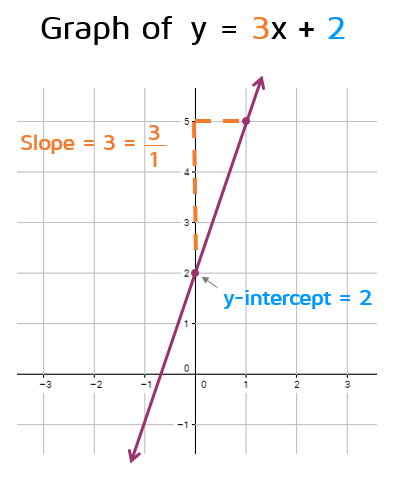 In slope-intercept form, the equation of the line uses the y-intercept. This is where the line crosses the y-axis. Remember, the y-axis is the vertical axis that goes up and down. 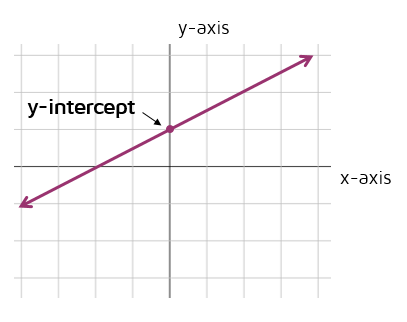 The y-intercept is the point where the line and y-axis meet. 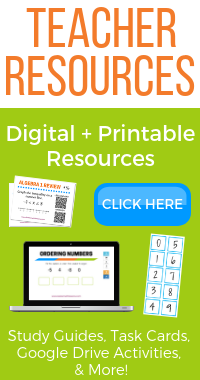 Let's look at a few examples of equations in slope-intercept form. Let's also look at the graph of this line. The y-intercept is 2. This means it crosses the y-axis 2 units up from the origin. We also know the slope is positive 3. Whenever the slope is positive, the line will go up to the right. 3 is the same as 3/1 so this means it goes up 3 units and over to the right 1 unit (remember, slope is rise/run). 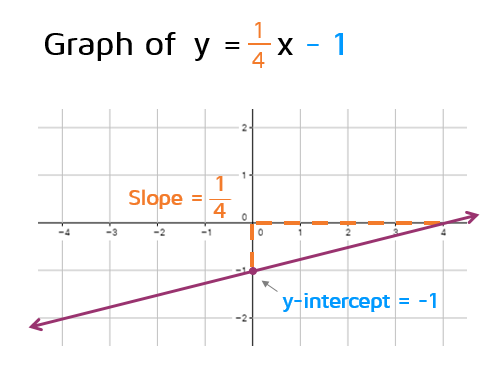 When an equation is in slope-intercept form, the slope is the number in front of the x. This means the slope is 1/4. A line with a slope of 1/4 will go up 1 and over to the right 4. The y-intercept is the constant at the end. Pay close attention to the sign of the y-intercept. This equation has a minus sign, so the y-intercept is -1. This means the line crosses the y-axis at the point (0,-1). It's pretty straightforward to graph this line. The y-intercept is -1, so it crosses one unit down from the origin. The slope is a positive 1/4, so it will go up 1 unit and over 4 units to the right.